At Pearls Construction LLC, we are concerned about delivering the best service when it comes to tracking the project’s timeline, which along with cost and quality makes up the 3 most important aspects of managing any project, regardless its scale or certain specialty. Since we believe that 4D BIM is becoming a very important tool in visualizing the whole project in a well-defined manner; proper scheduling of work packages and activities must certainly be represented in a way that would successfully pursue the extra dimension of time that 4D BIM adds. During scheduling, our main aim is to find a connection between the activities that take place during each project, from its preliminary stages until its completion. 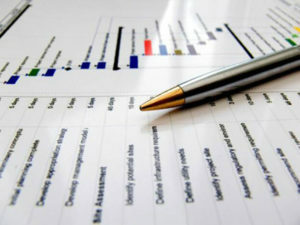 However, there is more than one technique of scheduling that could be implemented according to the project’s scale and specialty. Scheduling requires gathering sufficient data about the activities, as specified in the contract pertaining to the project; followed by identifying their logical sequence and dependencies on one another, the type of connections between them and their expected durations and lead time. It is crucial to know the nature of the relations connecting the activities with one another to be able to identify a critical path with which the project will be on its optimal track of completion with least possible chances of any delays. Therefore, linking up all the activities within a network that is well studied and graphically represented to give an insight into the sequence the project is most likely to follow. Our main mission at Pearls Construction LLC is to ensure that our projects are completed on time, within budget and with adequate quality. Accordingly, we usually use the critical path method since it has proven to be known for its effectiveness and efficiency in helping manage the timeline of a project in the most successful way possible. We value your time, so we are committed to deadlines and keen on making sure time is never an obstacle in the way of your project’s completion. Our team of engineers at Pearls Construction LLC are well prepared to follow up on the latest updates of techniques and software that would help with offering the best scheduling service there is to fit your project. Furthermore, our business development agents will always be available to walk you through the process, with its expected outcome and duration based on the nature of your project and its schedule; keeping you updated with your options and offering the necessary consultation that you might need.